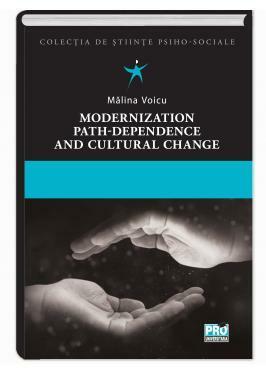 This book looks at how modernization and path-dependent factors interfere, interact and combine and how they shape together values, attitudes and beliefs. My basic assumption is that modernization theory holds true, but history may change the path and turn the cultural change in very different direction. Because there are many path dependent factors which interact with one another, it is difficult to disentangle their effect. In addition, the universe of path-dependent factor is vast, and it is almost impossible to carry out an exhaustive investigation, covering all relevant variables. Thus, I focus my analysis on four path-dependent factors: religious tradition, type of economic growth, institutions of education and post-communist transformation. While the last one is a breaking point in history, which led to a tremendous cultural and social change in Central and Eastern Europe, the first three are ‘self-reinforcing sequences’ that help the preservation of specific institutional patterns. Four different values domains are approached in the book: gender, religion (as system of values, beliefs and practices), civic participation and nationalism. My investigation does not consider them as separate domains but looks also at their interdependence and how this interconnection is shaped by modernization and path-dependent factors. My approach is based on quantitative research methods and I use large scale survey data to test my hypotheses. Based on the results presented by this book one can says that economic development matter, but local history and social institutions matter almost to the same extend. Thus, instead of talking about “modernity”, we should better talk about “modernities”. Cultural convergence theory holds true up to a certain point, afterwards the history plays its game.